We’d love your help. 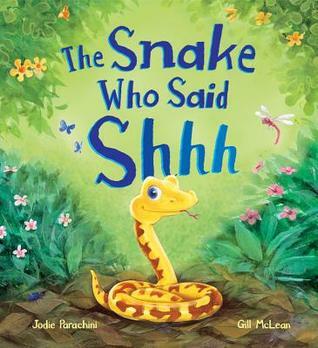 Let us know what’s wrong with this preview of Snake Who Said Shh... by Jodie Parachini. To ask other readers questions about Snake Who Said Shh..., please sign up. Disclosure: We received a copy from the author/publisher in exchanged for an honest review. This does not influence our review in any shape or form. Seth is a baby snake who said “Shh” instead of “hiss” like most snakes do. This leads to the other animals around him to make fun of him. After the animals realize that they hurt Seth’s feelings they try and find the perfect gift for his birthday, which turns into a bit of an argument. It turns out all Seth wants is a little peace of quiet. The kids Disclosure: We received a copy from the author/publisher in exchanged for an honest review. This does not influence our review in any shape or form. Observed this being used in a nursery class to explore sound, and linked to the first phase of phonics. Having children join in and explore the sounds animals make developed the children’s phonic knowledge. The story worked really well for the activity with this age group. I would probably use it in a similar way in my practice. A cute book about a snake's first word and the gift he wants most. I liked the illustrations, and the story was cute. It didn’t really seem special, though. Seth thought the sound he made was embarrassing. After a while, it came in handy. Such a cute little storybook! Sibilant creation story about the origin of the word "shhh": a lisping baby snake. 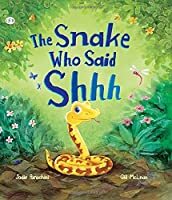 Seth the snake is a newborn and all the jungle animals gather around to hear his first words. This would be a great read-aloud about not laughing at others!